Please note: Your order is non-refundable. Before placing an order, please review all available information about the product. 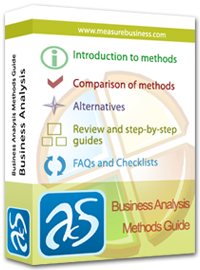 The detailed review of 8 popular business analysis methods. The review includes an introduction to the method, step-by-step algorithms, pros and cons and best practices. Learn more about what you will find inside the Business Analysis Toolkit. Business Analysis Toolkit IS SOLD “AS IS” AND WITHOUT ANY WARRANTY AS TO MERCHANTABILITY OR FITNESS FOR A PARTICULAR PURPOSE OR ANY OTHER WARRANTIES EITHER EXPRESSED OR IMPLIED. THE AUTHOR WILL NOT BE LIABLE FOR DATA LOSS, DAMAGES, LOSS OF PROFITS OR ANY OTHER KIND OF LOSS WHILE USING OR MISUSING THIS PRODUCT. 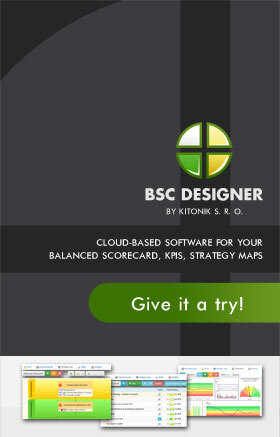 Business Analysis Toolkit (“the document”) is not free document. You may use a trial copy of the document for evaluation purposes without charge. Visit ordering page for detailed information about registration method and price list. You may copy the trial version of this product and documentation as you wish, and give exact copies of the original evaluation version to anyone, and distribute the trial version of the product and documentation in its unmodified form via electronic means. But you should not charge or requesting donations for any such copies however made and from distributing the document and/or documentation with other products without the author’s written permission. One registered copy of Business Analysis Toolkit may either be used by a single person who uses the document personally on one or more computers, or installed on a single workstation used non-simultaneously by multiple people, but not both. 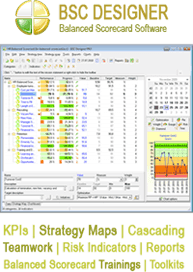 You may access the registered version of Business Analysis Toolkit through a network, provided that you have obtained individual licenses for the document covering all workstations that will access the document through the network. If you do not agree to these conditions you should not install this document. 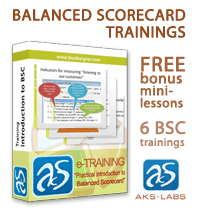 Thank you for using Business Analysis Toolkit.